I have only just found these digital stamps, they are beautiful and I will be buying many more. They are from Aurora wings, this one is called Ice Queen. I used Broken China distress ink to colour around the edge of the stamped image and also the edges of the card the stamped image is attached to. I used Majestic labels 25 to make the frame around the image and also layered it on top of silver card. 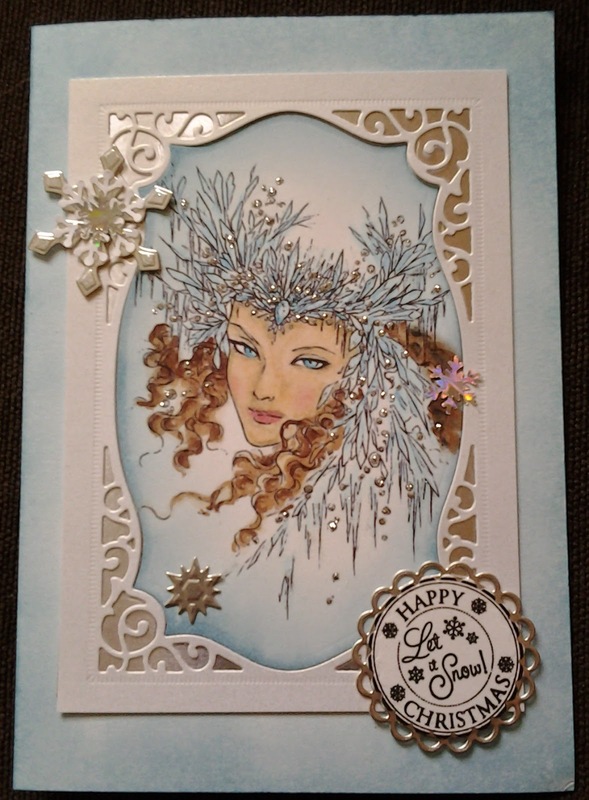 The snowflakes were cut from silver and white card. I also dotted silver stickles around the stamped image.